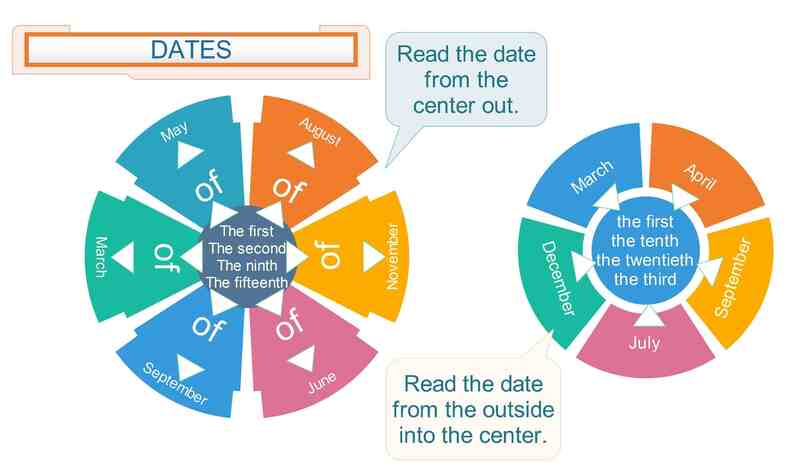 It is very important for students to be able to say and understand dates in English. For example if our students deal with someone about a deadline, they need to be sure what date is being talked about. In business, missing the deadline can have dire consequences. Therefore, dates are extremely important for the students to learn. I have already published some materials on this topic. There is a post on dates here. But as I was not really happy with my students´ progress in this area, I created several new materials and I was pleased to see how well they worked in my classes. That is why I will share them here and I hope they will be as successful in your classes as they were in mine. To be able to form dates, students have to know the months. 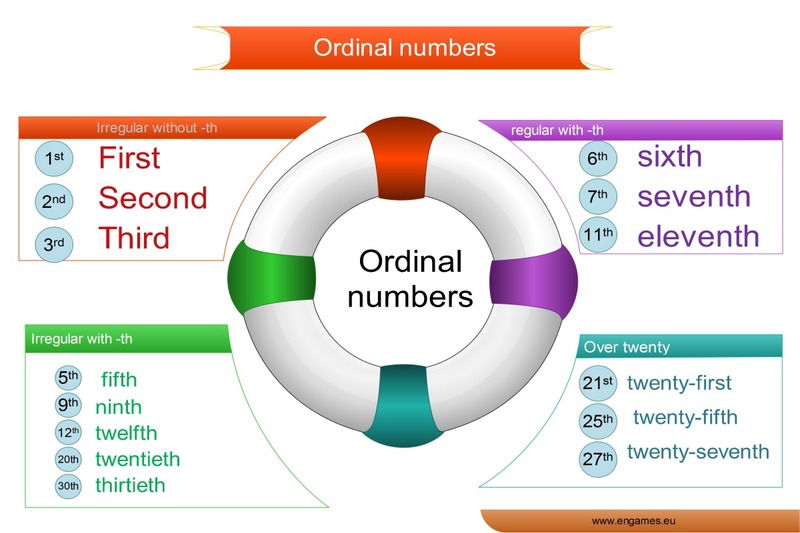 Another thing your students need to know before they can form the dates, are the ordinal numbers. Display the following infographic. Explain that the students have to learn the numbers 1-3 by heart. Then explain that it is enough to add the ending -th. However, they have to be careful with the spelling of the numbers in the green field. Numbers above 20 are explained in the last field. Play the following video and ask the students to repeat the numbers. Explain that in English there are two ways to say a date. You can use either the way displayed on the left, where you start from the centre and move outside. Thus the resulting date is THE ORDINAL NUMBER OF MONTH. Or they can choose the other way of saying the date. It is depicted on the right and students start from the outside and move to the centre. The resulting phrase then is MONTH THE ORDINAL NUMBER. First, try the following dictation. Students listen and write the dates they hear. The correct results are displayed at the end of the video. If you see that your students struggle, it is a good idea to play the video twice and pause the recording after each date. I found out that Bingo is a great way to practise dates. Print the following worksheet and cut it into cards. Give each student a card. Explain the rules and set the winning combination. I usually say that the winner needs two columns. Then you call one of the students and he or she says a date from their card. Then you call another and so on.